“It is always a pleasure to welcome good new writing, to celebrate the vigour and freshness and generosity of new attitudes. I love Terry Pratchett, absolutely adore everything he’s ever written. When I was about 10 my uncle from Delaware recommended the Dragon Lance books to me. You couldn’t get them very easily here so they used to send them over. Then my Mom got me to read the Hobbit and Lord of the Rings. I began to work my way through my local bookshop’s tiny fantasy and sci-fi section. I read Terry Brooks, Douglas Adams, quite a few of the star wars books but I always shied away from Pratchett because his book covers looked so lurid and out there. I was only beginning to get into fantasy and trying to avoid children’s books because I was ‘all growed up,’ and lets face it, his covers led me to believe that they were for children. But the books were always intriguing. In my bid to be a ‘growed up’ I even read the Wasp Factory by Iain Banks, marginally more disturbing than anything I’ve ever read before or since. Eventually I ran out of other books to read (like I said, they didn’t have much) so I picked up the Colour of Magic and I was hooked. A typical Sunday or Saturday back then: Myself, Mom, Dad and my sister walked into town. We’d leave Dad at the square so he could go to the pub and the rest of us would go do the shopping, groceries, clothes, school stuff, whatever we needed. We’d always end with a trip to the book shop. Then we’d join Dad in the pub and me and my sister would sit in the corner reading while the barman gave us free crisps and dairy milks. It was a small pub, often packed to capacity. I read through all-Ireland finals like that. I read through the hitchhikers guide trilogy of five and a good portion of the discworld. That’s when I stopped trying to be grown up because I knew it didn’t matter at all. Occasionally when I discovered a quote I would run over and recite it to my parents and the barflys that still recognise me to this day but I have trouble telling apart. I’d declare something like ‘Give a man a fire and he’ll be warm for an hour, but set him on fire and he’ll be warm for the rest of his life.’ then I’d run back to my corner and keep reading in search of more gems. 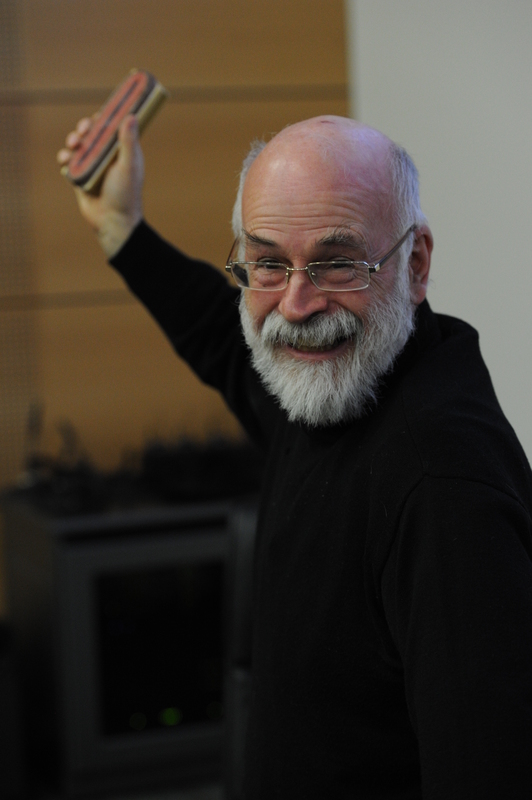 Terry Pratchett is the reason I write because he taught me the fun you can have with language. He taught me how important it is to imagine how things should be and work towards them.He taught me a lot about people. His presence as a member of staff in Trinity College was the icing on the cake when choosing to study here. His inaugural lecture last year was brilliant and this year there was a questions and answers session with him and the head of the English Department. Myself and my friends were sitting in the front row, a meter, maybe a meter and a half from the genius himself. Afterwards there was a wine reception and while a few people monopolised his time, asking questions and that, we still got a picture with him and got to hob-nob over glasses of wine in the same room. There was a debate in the Phil society the next evening ‘that the house would legislate in favour of assisted suicide for all adults.’ It was absurdly formal and highly entertaining. All the speakers were very good and engaging and responded to audience interjections and POI’s well. It was really interesting and the pro-euthnasia side won, because frankly I don’t think anyone there was going to vote against Pratchett. No-one interrupted his talk, he spoke very softly but you could hear everything he said. He said he’s signed the letter to Dignitas but hopes he’ll never have to use it, he’d prefer a more English death. He spoke about his illness and why he signed the letter and that he’s glad he has it in his top drawer for when he needs it. But fear not, he said he has a few more books in him and that he’s in the middle of his autobiography. A few months later he visited again and hosted ‘Unseen University Challenge,’ where the staff went up against the students on all matters Discworld. The Students won even after donating some of their points to the staff members. He is a great man and it will be a sad day when he does make the trip to Switzerland. No matter what I will continue reading and re-reading the Discworld for as long as I am able to read and write. The first half is an entertaining autobiography and the second half contains some practical writing advice.Very enjoyable to read. 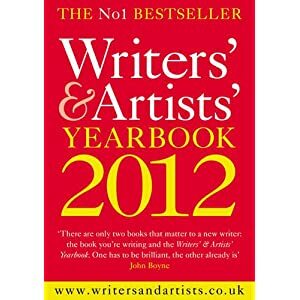 Brief, witty and no-nonsense, contains advice on screenwriting that can also be applied to fiction writing. 4. Writing Fiction For Dummies by Randy Ingermanson. The textbook layout makes it very easy to find what you’re looking for. Good for beginners and the sections on organising and publishing are good for any stage. There’s a stigma surrounding fantasy writing. Most readers aren’t necessarily aware of it, but people in many academic and writing circles certainly are. Before coming to Trinity College, Dublin the most common reactions I received from my teachers when I said I wanted to write a fantasy fiction piece was either confusion or flat out dismissal. In fact, there was even an occasion when one of my professors came right out and said they would only let me into a writing class if I pledged to do something other than a genre piece. I could tell from their expressions and comments that while they liked my writing, they were under the impression that for me to write a fantasy piece was a waste of my time and theirs, and that anything that I could produce would be inherently inferior to other forms of literature. I won’t lie, that made me a little angry. While I will recognize that there have been some bad fantasy novels in literary history, there have been some amazing ones as well, and I can guarantee that for every bad fantasy novel out there, there’s a literary novel that’s just as bad. It’s always been a point of frustration to think that fantasy gets a bad name simply because it’s a genre. How on earth did literary prejudice come to exist? I can’t say I understand it, and I definitely don’t agree with it. I’m not really sure where this bias against fantasy came from. I’ve heard some people argue that the weakness of fantasy and genre fiction in general is that it has built-in limitations due to the conventions every genre holds. Personally, I think that’s a bunch of nonsense. Every form of story has conventions that it follows, and this applies to literary novels as well. Take the “Coming of Age” novels, which are so common amongst the literary titles. It’s a term used to describe any story in which a character, usually a child or young adult, gains a greater (usually retrospective) understanding about their lives through time and experience. Now, these stories have widely differing details, but the core plot tends to be the same. However, “Coming of Age” novels are not considered to be a genre by most people. Why not? They have conventions just like fantasy novels do. My point is that fiction is fiction. Whether it’s good or not has nothing to do with the story’s conventions. 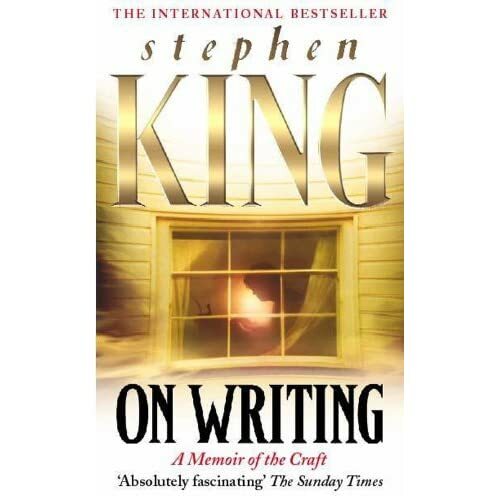 If anything, I would argue that writing a good fantasy novel is a different, yet equally difficult, experience to writing a good literary novel. It’s true that fantasy novels are less restrictive in the sense that you could make nearly anything happen; the writer could set the sky on fire, craft living creatures from clay, strike down a mountain and then rebuild it in a single night. Through these devices, a good writer can tell their story however they want to, using fantasy as a tool to better understand reality. However, with those freedoms comes a higher set of expectations. The writer is expected to tell his or her story differently than anyone else. Even if they’re using old ideas, they have to develop them in a way that will recapture the reader’s imagination. And as outlandish as the world they create is, it still needs to follow some form of logical order. In other words, even fantasy worlds need ground rules, even if the writer has to create them from scratch. People have been telling stories since time began. Whether people choose to recognize it or not, similarities are going to start to develop, but to lump these similar stories together and brand them as an inferior genre is a mistake. The biggest fallacy a reader can commit is to discount a story without really reading it. So, to them, and anyone else who cares, I recommend keeping an open mind; it’s a valuable tool to have. Who knows, the next book you pick up might surprise you, and isn’t that what most readers are looking for in a good book? With a title as abstract as “A Thoroughly Good Blue” for our class anthology, we’re certain to get lots of folks wondering what, exactly, it means. Even I spent longer than I probably should have pondering the implications of the title. As writers, it’s our job to capture thoroughly good blues. That is, in our writing, we uncover the shades of voice and tones of experience that define our art and our selves. But just writing in broad strokes of blue isn’t enough. We have to move past the most basic and generic concept of blue to find the perfect shade, the appropriate hue. Ultimately, I believe that our efforts as students of writing all point to this goal. Studying each week in the birth home of Oscar Wilde, we feel his presence. The fact that his famous phrase matches our pursuits feels, ultimately, fortuitous. In the anthology, each of the authors has captured a perfectly unique shade of blue. We hope our pieces resonate with our readers the same way they resonate with us. Here is some striking temporary cover art. It was designed by our very own Eimear Ryan, author of the short story ‘Lament’ in this anthology. So the second teaching semester began today in ye olde Trinity College. This looks to be an exciting term, with visits from Sir Terry Pratchett, Richard Ford, Paula Meehan and many many others. As well as our normal writing workshops we have the option of taking Academic courses on Irish Fiction after Joyce and/or Irish Poetry 1935-2005. On top of this work on an anthology of our creative writing is well underway. 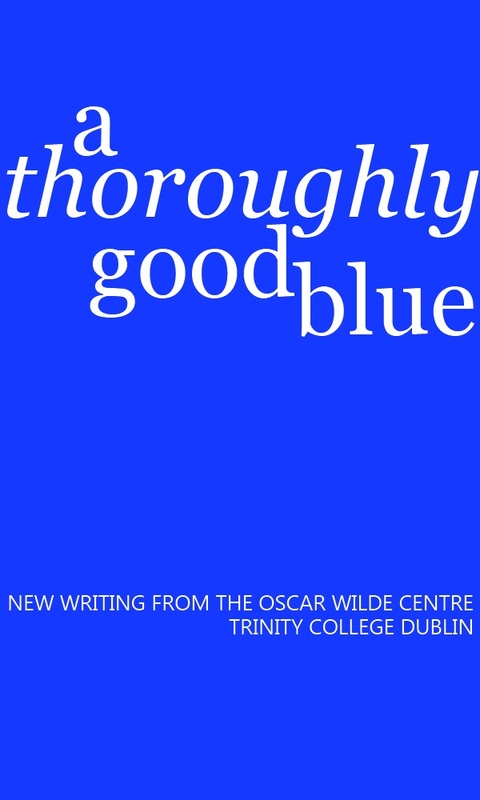 Our anthology is called A Thoroughly Good Blue and will be on sale by the middle of May.